Quill Pen Press, 2006. Winner of Benjamin Franklin Awards (Independent Book Publishers Association) for Best History and Best Reference, and finalist for Best New Voice in Nonfiction; and Best Genealogical Resource Award, Connecticut Society of Genealogists. 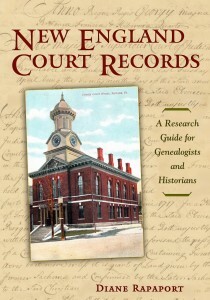 Praised by genealogists, historians, librarians, and archivists as the definitive guide to researching New England court records from the 17th to the 21st centuries. “The essential reference to understand and locate legal records in the New England states.” Ancestry Daily News, Ancestry.com. “A valuable reference tool as well as a training manual for historians and genealogists interested in New England.” Booklist, American Library Association. Commonwealth Editions, 2007. Finalist, ForeWord Magazine’s Book of the Year Award for History. Received regional and national praise—from Massachusetts Lawyers Weekly, Harvard Magazine, Women’s National Book Association, and many other reviewers. Diane also has authored more than 70 articles, published in genealogical and historical journals, including her popular “Tales from the Courthouse” column, which appeared for many years in American Ancestors magazine (formerly New England Ancestors). 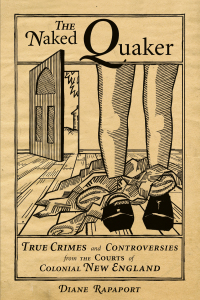 “Tales from the Courthouse,” bringing history to life with true stories from colonial court records, won three Excellence in Writing Awards from the International Society of Family History Writers and Editors.